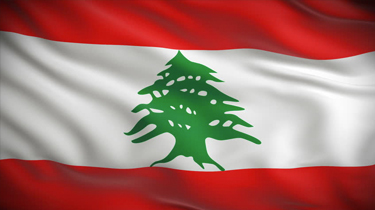 All expatriates working in Lebanon must have a work permit and a residence permit. Such permits may be issued only at the request of an employer. 1. A special work permit application completed and signed by the applicant and the employer. 2. A list of the names of the foreign employees (if any) at the office of the employer that must be signed and sealed by the employer. 3. The address of the employer. 4. The passport or the identity card of the expatriate. The Minister of Labor retains a photocopy of this document. 5. A medical report evidencing that the expatriate is free from epidemic diseases. 6. A photocopy of the employer's registration in Lebanon. 7. A list of authorized signatures of the employer. 8. A certified copy of the employment contract entered into between the employer and the expatriate. 9. A quittance (discharge or clearance certificate) issued by the SociaI Security National Fund. Contributions to the social security scheme are calculated as percentages of monthly salaries and wages including overtime, gratuities and fringe benefits. For the sickness and maternity and family allowance schemes, the maximum amounts on which contributions are calculated are LL 2,500,000 and LL 1,500,000, respectively. For the sickness and maternity scheme, the contribution rates are 7% for employers and 2% for employees. Only employers make contributions to the family allowances and end-of-service indemnity schemes. The contribution rates are 6% and 8.5%, respectively. Non-Lebanese employees need not be registered with the Social Security NationaI Fund if their contracts are signed outside Lebanon and if they can prove that they enjoy soda I security benefits in their home country similar to the benefits granted in Lebanon.